Phew! I’ve had a busy few weeks. 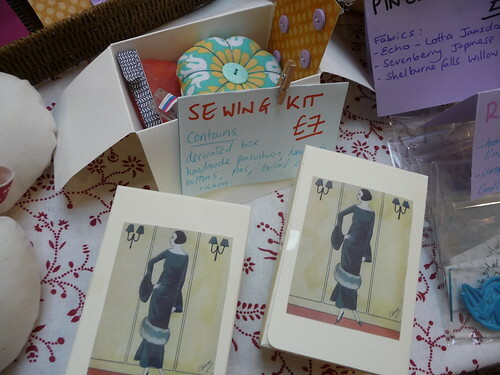 Amongst other things I’ve travelled abroad for work, prepared stock for the two Christmas craft fair stalls I have booked, and am currently on holiday in Spain. 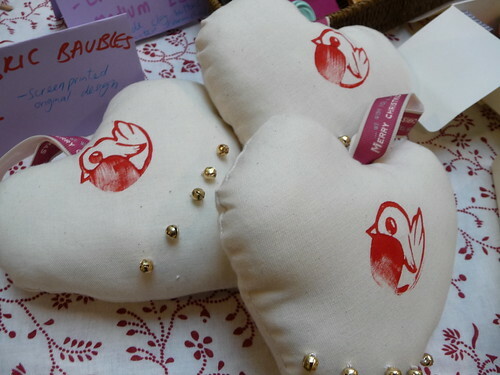 The day before me and Phil left for our holiday was the first of the Christmas craft fairs where I have a stall booked. 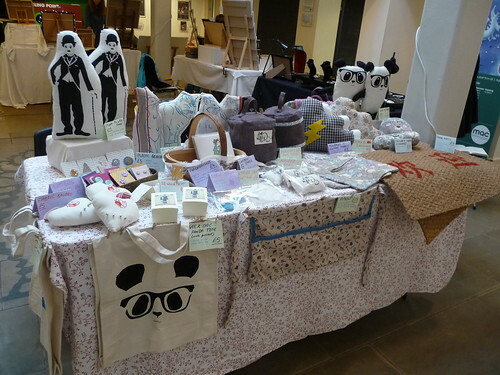 Here’s my stall, looking busy! 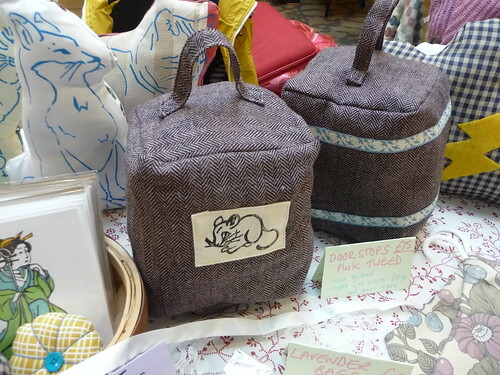 Handmade doorstops in a lovely pink tweed fabric. 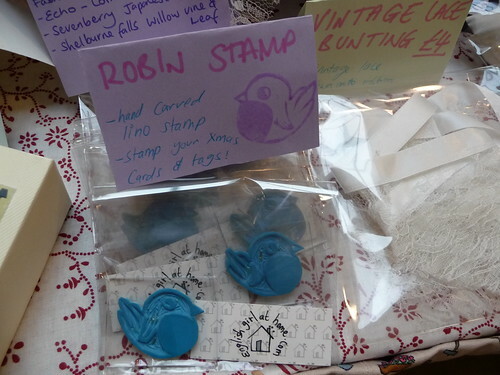 The doorstop on the left features a mouse design printed from a lino stamp I made. P.S. If you’re ever in Seville make sure to visit Calle Francos (not far from the ‘Flying Waffle’) which has a number of fabric shops (both expensive & very reasonable). 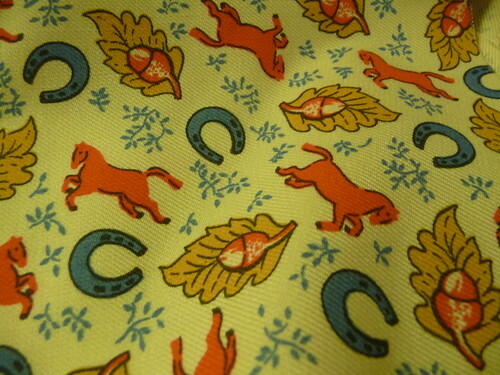 I picked up the fabric below on sale for 2 euros per metre from Almacenes Velasco. 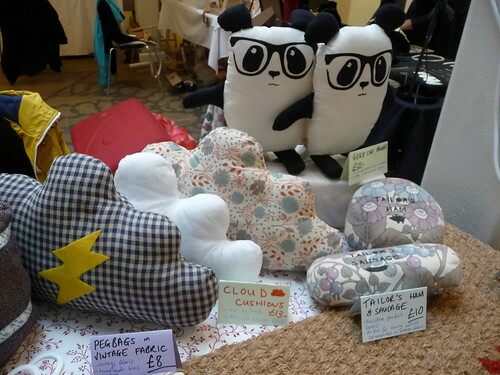 Categories: Fabric, linocut printing, Screen printing, Sewing, Toy | Tags: Christmas, craft, fabric, fair, homemade, mac, sale, seville, shop, shopping, stall | Permalink.